Civista Bank (Sandusky, OH) began working with Taylor Advisors in the 3rd quarter of 2007 as an investment advisory client. Civista had an investment portfolio previously managed by a different investment advisor. It is common for banks to periodically evaluate investment advisors based on their ability to obtain improved portfolio performance. As of the end of the 3rd quarter of 2007, Civista Bank’s investment yield was below peer and ranked in the 38th percentile per FDIC data. Upon switching investment advisors, Taylor Advisors began working with the bank to create an integrated strategy that considered the entire balance sheet. After developing an Investment Policy and strategy, Taylor Advisors began implementing the strategy. The improved investment management process resulted in a portfolio that was constructed considering the asset/liability characteristics of the bank and an improved ranking versus the peer group, per FDIC data. 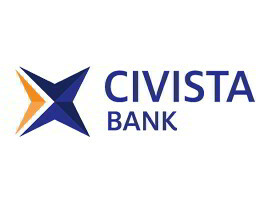 Civista Bank has been a client for over 10 years. “I spent twenty years in public accounting. I met Todd 25 years ago; we had mutual clients. He did replace the incumbent when I came to Civista. I worked with the other advisor for about a year before I introduced Todd to the bank. There’s no comparison. I think a lot of other advisors – I saw how they operated – were selling securities instead of executing trades. What appealed to me about Taylor Advisors is that they don’t make any commission on selling any idea to their clients. Now, I don’t have to take a call from any brokers. I tell people I work with Taylor Advisors and I tell them what I want, and through their network of brokers they know how to get the best execution for their clients, so there’s no conflict there. I’ve seen other so-called advisors sell the exact same security on the same day for three different prices, essentially trying to get more out of their client. With the way Taylor Advisors has modeled their firm, you don’t have to worry about that with them. It’s more than just the portfolio, we’ve got a peer group of about twenty-five other banks our size that we compare ourselves to in the Midwest. When I came to the bank, and before we worked with Taylor Advisors, our investment portfolio’s yield was among if not the worst in that peer group. Fast forward ten years, and we are among if not the highest yielding investment portfolios with one of the shortest durations. I would say the quality of our portfolio is better in terms of credit quality and duration than what we had ten years ago. If you look at our unrealized gains, it’s an indicator that our portfolio is of higher quality. I point that out to the board and our investors. And over time, certainly our relationship with Taylor Advisors has evolved – they go above and beyond. The value exceeds anything that we pay them. We checked the boxes – they give us investment ideas and the best execution. But the real value is the counsel they provide. Our treasurer was good before we engaged Taylor Advisors, but now our Treasurer is more intelligent about opportunities we may have. Banks are awash with information – but what do we do with that information? And what Taylor Advisors does for us, is they help us understand the information and give us ideas and strategies based on that information. It’s more than just investment advice and balance sheet management – we leverage that relationship to get ideas on how better to run the bank. It’s grown from buying and selling securities to really helping us manage the bank. For details on the performance of Taylor Advisors’ investment advisory clients, please contact us at at sasha@tayloradvisor.com or 502-412-2205.